Home » Church Goods » Vestments / Shirts » ALB, Best Seller! Our BEST SELLING Front Wrap Alb! Monks Cloth, Textured Polyester Linen Weave. Available with Velcro or Button Closures. Please select your size. For extra room where you need it (Larger cut in Neck, Chest, and Shoulders) Select Ample Cut after choosing your size. 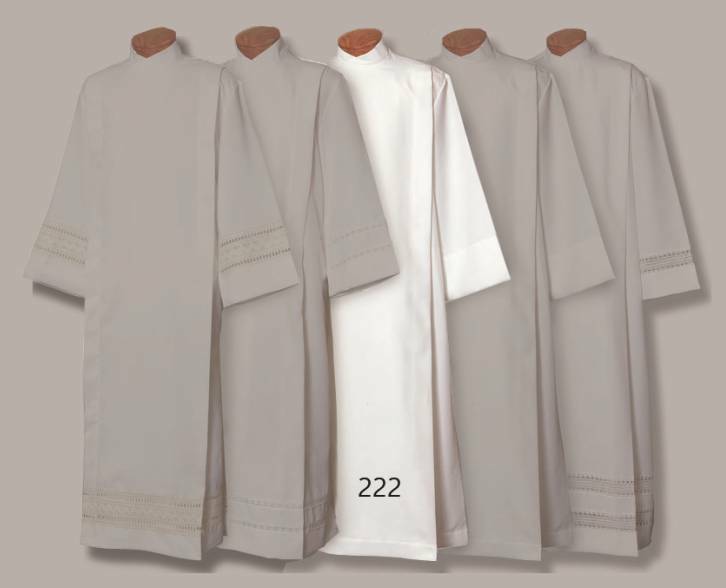 Matching Surplice available, see #4886.